Russia’s rouble after the United States slapped new sanctions, and as economic worries sent the Turkish lira tumbling. Washington said it would impose fresh sanctions because it had determined that Moscow had used a nerve agent against a former Russian agent and his daughter in Britain, which the Kremlin denies. The rouble slid to its lowest level since late 2016 on Thursday, hitting 66.7099 roubles to the dollar. At 0021 GMT Thursday, it was changing hands at 66.5245 to the dollar. Turkey’s lira fell to record lows against the dollar on Thursday, with a meeting between a Turkish delegation and U.S. officials in Washington yielding no apparent solution to a diplomatic rift over the detention in Turkey of a U.S. pastor. Deepening investor concerns about Turkey’s authoritarian trajectory under President Tayyip Erdogan and the economic fallout have also weighed on the currency. The lira stood at 5.5700 against the dollar at 0021 GMT, after touching an all-time low. Turkish Finance Minister Berat Albayrak is set to unveil the latest plan for Turkey’s economy on Friday. The turmoil in emerging currencies and ongoing global trade tensions helped to support the dollar Thursday, but it was little changed in early Asian trading. The dollar was flat against the yen and euro, while the dollar index, which tracks the greenback against a basket of six major rivals was 0.1 percent higher at 95.613. U.S. Treasury yields also fell on the risk-off mood. The yield on benchmark 10-year Treasury notes was at 2.9276 percent compared with its U.S. close of 2.935 percent on Thursday. 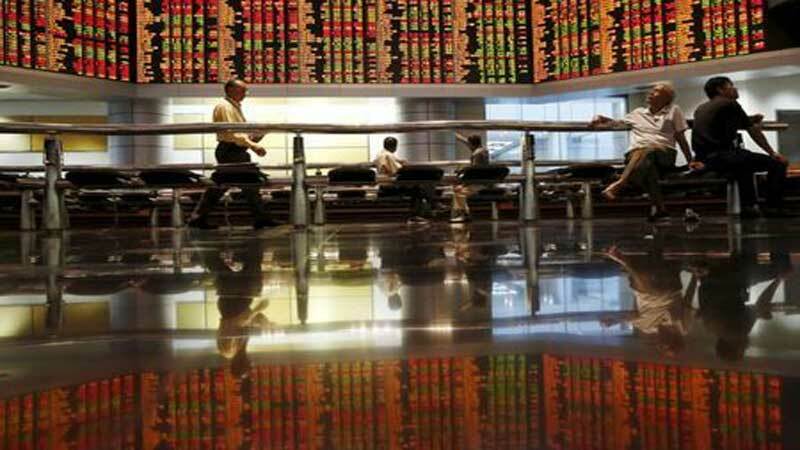 In equity markets, MSCI’s broadest index of Asia-Pacific shares outside Japan was down 0.3 percent. Japan’s Nikkei stock index fell 0.5 percent despite data showing that the country’s economy expanded at a faster-than-expected annualised rate of 1.9 percent in the second quarter in a sign of improving momentum. Wall Street provided little direction for markets in Asia on Friday, with the the Dow Jones Industrial Average falling 0.29 percent, the S&P 500 ending 0.14 percent lower and the Nasdaq Composite adding 0.04 percent. Attention in Australia on Friday will focus on updated economic forecasts from the Reserve Bank of Australia (RBA) in its statement on monetary policy. RBA governor Philip Lowe said Wednesday that the “best course” of action for the central bank would be to keep cash rates at record lows despite expectations that economic growth will average 3 percent this year and next. “We do not expect any material change in the narrative or to forecasts given that the economy has evolved broadly as the RBA expected,” ANZ analysts said in a note Friday. In commodities, U.S. crude dipped 0.2 percent at $66.67 a barrel, while Brent crude was 0.3 percent lower at $71.88 per barrel. Gold ticked higher, with spot gold trading up 0.1 percent at $1212.96 per ounce.